Tanzania – Large zircon crystals can be found in Tanzania. Madagascar – The island of Madagascar is rich in many varieties of gemstones including colorful Zircons. China – Zircons in many hues including oranges and reds can be mined in China. Myanmar – Mogok, a city in Myanmar, is famous for producing many gemstones including many colors of glittering Zircons. Cambodia – Cambodia is a leading source of gem-quality Zircon. Much of the material mined here is heat treated to produce the popular blue color of Zircon. Australia – Amazing rich plum colored Zircon deposits have been found in Australia. If you are fortunate enough to have a special birthday or anniversary falling within the month of December, let us at Knox Jewelers help you create a custom one-of-a-kind piece featuring a eye-catching colorful zircon. Zircon is known as a gem with incredible brilliance and color flashes of fire. These properties resemble that of natural diamond so closely, they account for centuries of confusion between the two gemstones. Most zircon is often cut into round and oval shapes, as this will maximize this brilliance and light return. 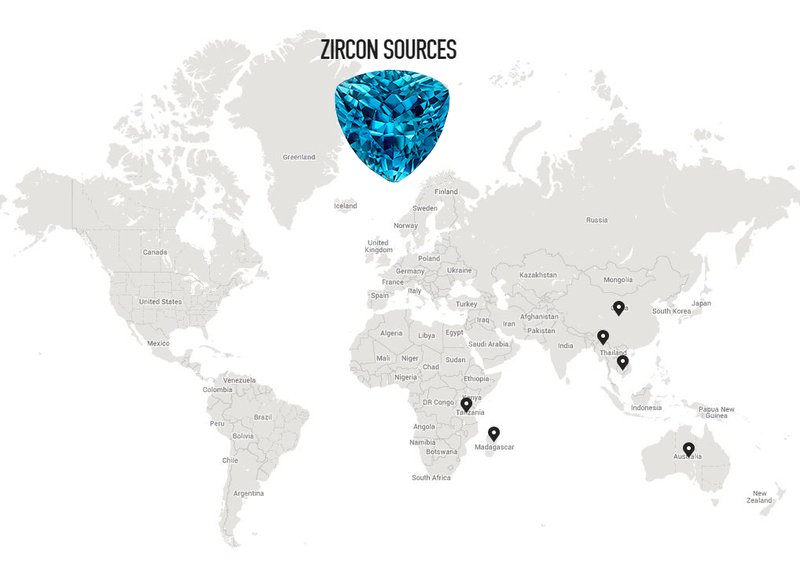 Zircon can be found in a large array of colors. Varied tones and shades of yellow, green, red, brown and blue make this mineral a color lover’s dream. 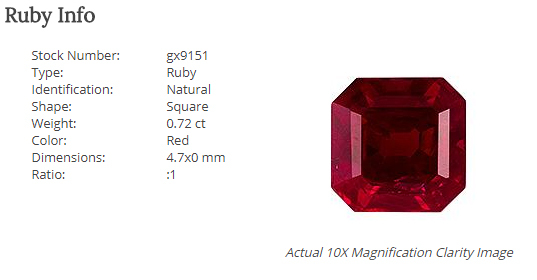 The most rare and valuable hues of natural zircon are bright red, blue and green. Blue zircon, the shade used as the December birthstone, was a very popular gemstone in the Victorian era. This favorite gem can be found in estate jewelry from as early as the 1880s. Any one of our custom designs can be altered to hold this vibrant birthstone. The possibility are endless considering the number of zircon hues and the available carat sizes. A Knox Jewelers custom created piece, featuring a one-of-a-kind painted zircon is the perfect way to celebrate any occasion falling within the month. Contact us today and let’s get started. 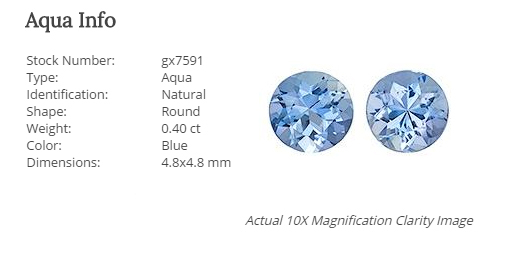 We can always search our cutters’ inventory for your perfect gemstone, or we have a selection of incredible zircons in a variety of sizes and cuts already available! Author Katie MonsonPosted on December 11, 2016 December 16, 2016 Categories Unique Engagement RingsTags Birthstone, birthstone jewelry, blue zircon, custom birthstone jewelry, custom birthstone ring, custom ring, December birthstone, knox custom creation, Knox Jewelers, zirconLeave a comment on Where is Zircon Found? United States of America – In Arizona, the San Carlos Apache reservation has been a major producer of peridot for many years. Egypt – Extremely large peridot crystals have been found on the Isle of Zabargad off Egypt’s coast. Tanzania – Rough peridot can be found in the Mpwapwa region of Tanzania. Pakistan – The country of Pakistan is known for producing high quality, large peridot crystals. Myanmar – Pyaunggaung is a sizable peridot mining area close to the larger city of Mogok in Myanmar. Vietnam – Located in southern Vietnam, the Lam Dong Province is an ample resource of large carat peridot crystals. 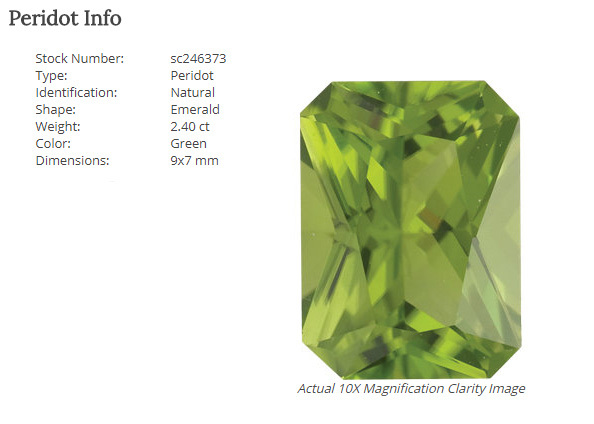 China – China has become a large supplier of the calibrated peridots used in jewelry today. If you are fortunate enough to have a special tie to the month of August, let us at Knox Jewelers help you custom create a one-of-a-kind piece to showcase a beautiful vibrant green Peridot in celebration of any occasion. For centuries, rich colored Peridot has been linked to light. Ancient Egyptians even called this precious stone the “gem of the sun”. 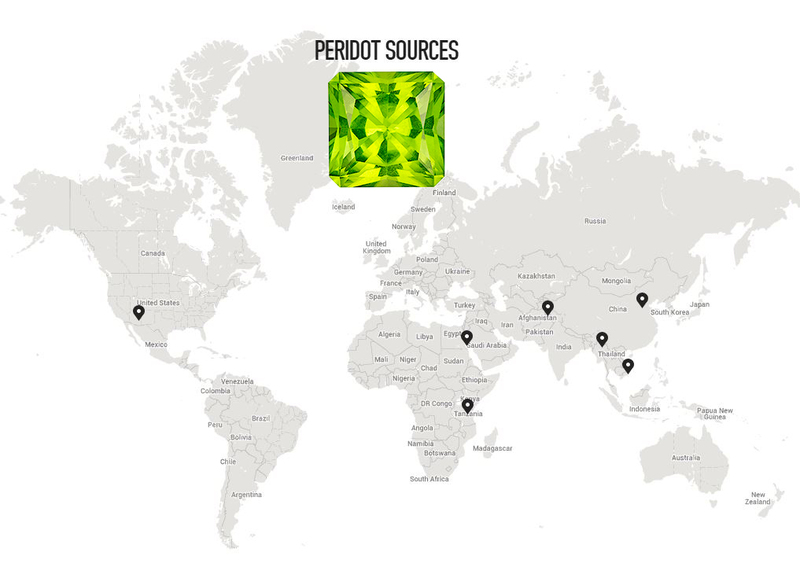 In modern times, Peridot is currently being mined within one of the sunniest states within the United States, in the deserts of Arizona. Any custom piece of jewelry could be tailored to incorporate this unusual olive-green birthstone. The possibility are endless with a mineral found in such large crystal formations, allowing nearly an shape or size finished faceted stone. A Knox Jewelers custom created piece, featuring a beautiful peridot is the perfect way to showcase this vibrant gemstone. Contact us today and let’s get started. We can always search our cutters’ inventory for your perfect gemstone, or we have a selection of incredible peridots already available just waiting to be transformed! Author Katie MonsonPosted on August 14, 2016 September 29, 2016 Categories Unique Engagement RingsTags august birthstone, Birthstone, birthstone jewelery, custom birthstone jewelry, custom jewelry, Green, knox custom, knox custom creation, Knox Jewelers, peridotLeave a comment on Where is Peridot Found?